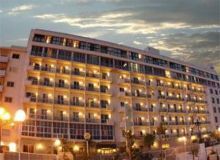 The Waterfront Hotel is a leading 4 star hotel in Malta. Situated in an excellent location along the Sliema promenade, the hotel is placed within walking distance from public transport and other services including bars and restaurants, several shopping outlets and the Sliema Ferries. 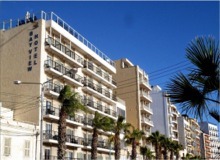 Situated on the waterfront in a quiet part of Sliema, just 400m from all of the town’s shops, restaurants and cafes. The sea is just a short walk away. Within the hotel complex there are 5 pools and access to the Fontina Fitness centre, with indoor Jacuzzi. The Hotel Bayview overlooks the picturesque fortifications, the historical buildings of Malta's capital city Valletta and the traditional Marsamxetto harbour.